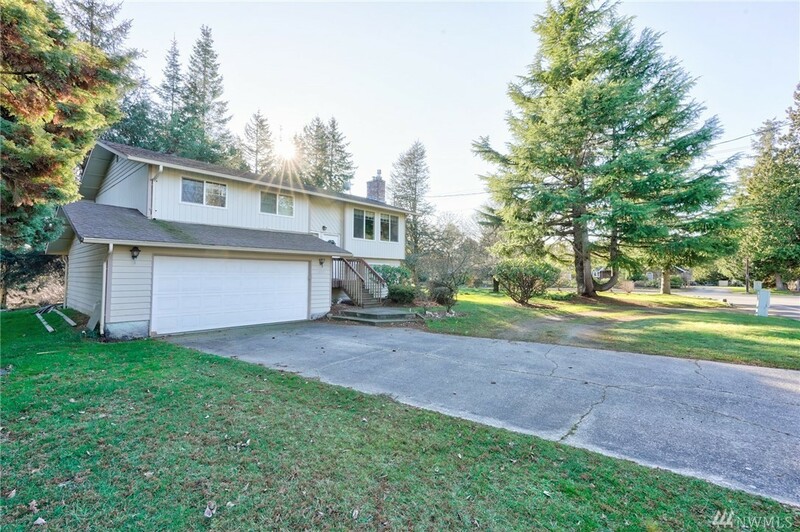 Gorgeous 4 bed 3 bath home on nearly an acre of land! Split level entry takes you up into open living w/ gas fireplace, kitchen and dining area. Freshly updated kitchen w/ SS appliances, granite counters, tile backsplash and recessed lighting. Lower level offers second living area w/ gas fireplace and second master suite. Exterior features upper and lower decks, RV parking and mature landscaping in a park like setting. Easy access to I5, shopping and schools.